Matt McDonald, an agent with Chattanooga’s Real Estate Brokers, grew up totally immersed in Chattanooga development, subdivision creation and land deals. A third generation in real estate sales and development, McDonald had a front row seat in the ups and downs of growth and has a unique perspective on the continued growth of the city. “Matt just grew up in the business, and we have all kinds of resources that sometimes even the city or county doesn’t have,” his father, John McDonald, says. “For example, we got a call last week from the Environmental Protection Agency, doing a major study in Alton Park. They’ve got a list of the factories and what they made, but they don’t have any idea of where they were. McDonald took some time to share with us a bit about his family’s history in the area, what developments have surprised him in recent years and what to expect for the market in 2019. 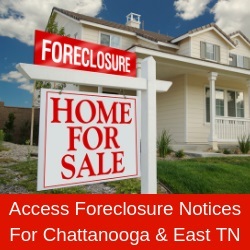 Tell us your family’s history in Chattanooga real estate. “I started off at the top. My grandfather (Joe McDonald) was likely the most prolific developer in the history of Hamilton County. He did 92 subdivisions in his career. He built out a lot of Hixson. I would say probably a third of what you see in Hixon is stuff that he’s done. He was right at that time when Chattanooga was experiencing a lot of growth after World War II. This was basically from the late 1940s to the 70s. So you guys collectively have seen quite a bit of change in the area. “Absolutely. And some of it’s just unbelievable, and some of it’s predictable. For instance, nobody saw the south side coming, downtown. I grew up downtown, so I have a real unique paradigm. When I was in a little boy, you could walk down Market Street at 5:30 on a weekday, and there’d be a dadgum tumbleweed roll through. I mean, everybody left. In terms of where people want to live right now in Chattanooga, is downtown one of those spots? “Absolutely. Downtown’s got a huge draw to it. There’s some intangibles that come, and everybody says “location, location, location,’’ but, there you could walk to restaurants, and walk to bars and walk to shops. All this stuff where you really feel connected. They have these parades and neighborhood events. You feel like that’s your home team. “The people that are in the south side they’re fiercely loyal to the south side. Same with St. Elmo, they’re fiercely loyal to St. Elmo. And North Chattanooga too, you know, everybody kind of banters about it, which is better than the other. Kind of like the Yankees versus the Red Sox. But they’re all professional teams and they’ve all got great talent. How much do your clients depend on you to find those properties for them in this market? “My clients look to me to put deals together that don’t – aren’t – readily apparent. I do a lot of off-market deals. Of course, I work with a lot of builders and developers, and some of them are exclusive land deals. I contact people and make offers to them and put deals together. You recently graduated from the Greater Chattanooga Realtors’ 2018 Leadership Academy. “That was a wonderful program, and I really learned a lot and I look forward to using that knowledge and help be a leader and influencer in this community. I really got to communicate and network with some really talented people. “I was also recently appointed by the mayor to the Chattanooga Historic Zoning Commission. We have four historic neighborhoods that are designated as historic, and that’s St. Elmo - that’s where 90 percent of the stuff comes from for the cases that we see. St. Elmo, Ferger Place, Battery Place, and Fort Wood by UTC. Do a lot of people want to live in those areas, and what about commercial? “Oh, yeah. There’s a tremendous draw to this historic development. Not every city is lucky enough to have a real historic element to it, and Chattanooga is just flush with history. We’ve got the Civil War, or you go back before that, we’ve got Native American history that’s tremendous. Our post-Civil War era, we had a tremendous surge in developments. Really talented people that came through from the 1870s to the 1920s, and they built. What can people expect in Chattanooga real estate in 2019? “You’ve got to temper everything with the rates ticking up a little bit. But that’s a national thing. Everybody, every community in this country, is going to experience that. What Chattanooga has that is unique, is we have a community, a place that other people would like to go to. As simple as that sounds, that’s probably as well put as I can make it. “The bottom line is we’re getting a ton of people from out of town that are coming for the Ironman and all these softball tournaments. They’re spending the weekend in Chattanooga and they’re coming back and they’re saying, “Well, maybe we should move here when we retire”. “We won that competition with Outdoor magazine about Best Town. And we have so much to offer and we take it for granted, but we’ve got the rivers and the mountains, and we’ve got all this history. And we’ve got close proximity to major cities like Atlanta and Nashville. We’re not too far from the beach. “We’re well positioned to grow. I do believe that our growth cycle is going to continue pretty well indefinitely. We’ve started the machine now, and people see it, and they want to be a part of it. “People coming here are coming by their own choice. They want to be here. And if you really think about what that means, they are great additions to our community. These aren’t people that are here by and large because they have too, they want, they sought this place out.